Alter The Press! : Could This Be The End for Blink-182? Could This Be The End for Blink-182? Blink-182 are once again in a state of chaos. A press release came out yesterday (Jan 26) saying that Tom DeLonge had left the band and would be replaced with Alkaline Trio frontman Matt Skiba for the handful of upcoming gigs they had planned. Tom responded via his Instagram account saying he "never quit the band" and how he was just on the phone about some sort of Blink related event in New York City. 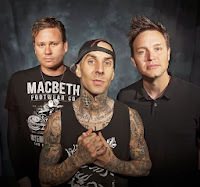 That evening, Rolling Stone posted an interview from Mark Hoppus and Travis Barker giving their side of the story. "It's hard to cover for someone who's disrespectful and ungrateful," Barker said. "Everyone should know what the story is with him…when we did get back together after my plane crash, we only got back together, I don't know, maybe because I almost died. But he didn't even listen to mixes or masterings from that record. He didn't even care about it. Why Blink even got back together in the first place is questionable." Later, DeLonge posted on Twitter: "A year ago Mark and I spent a week on the phone with managers debating parting with Travis. Don't pretend there isn't more to this story." He has since deleted that tweet. It's very hard to predict the future of Blink-182 right now. Could they call it quits? 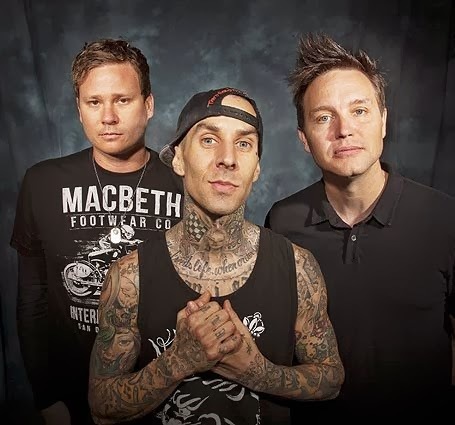 The three-piece might be able to put their differences aside and continue but one thing is for sure that Hoppus and Barker are unsure if they'd even take DeLonge back. "We've done everything that we could to give Tom what he says he needs," Hoppus said when speaking to Rolling Stone. "It's been years of pushing back and I have to tell you: It feels humiliating to be in a band where you have to be apologizing for one person all the time."